If you love your home this post is for you! 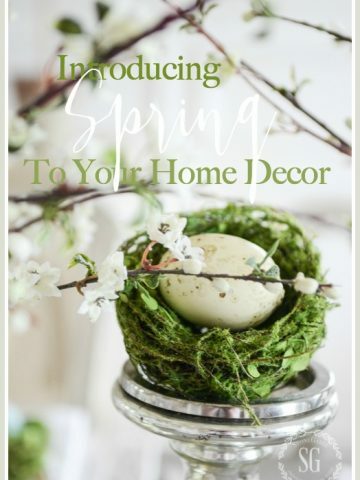 If you love to decorate this post is for you. If you know the magic of a paintbrush this post is for you. If you love rescuing furniture off the streets or out of Goodwill this post is for you! If you have a basement, attic or closet filled with accessories that are not the right color or are worn but you know you could use them this post is for you! If you love all these things you might be a maker too! Let’s get ready for fall Y’all! Kelly, Anita and I LOVE fall and will help you get your home and front door ready for our favorite season! Fun, fun, fun fall ideas! I’m a Maker! I love home and decorating and painting furniture and gold leafing accessories. I see potential in other people’s cast-offs! 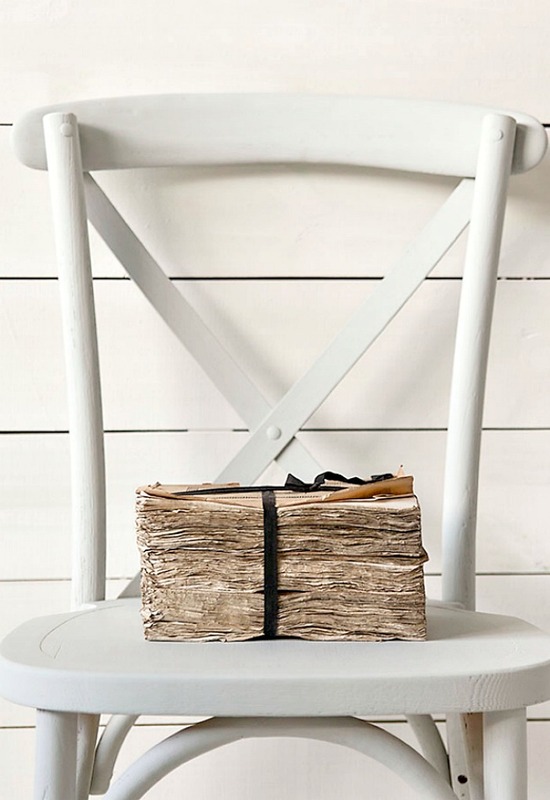 So I’m joining forces with my friend Amy Howard and working alongside an army of other women to rescue, restore and recreate the furniture in our homes. From furniture to fabric. And from containers to countertops. And more! 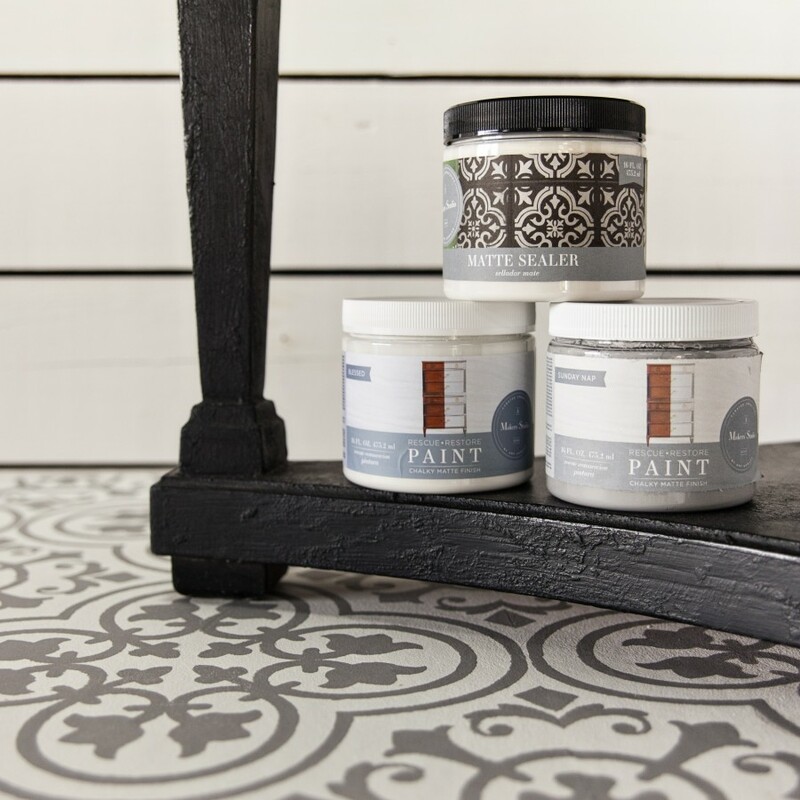 Almost anything can be rescued and restored with our chalk based paint called… RESCUE AND RESTORE! Many of you know how I admire Amy Howard and LOVE her wonderful transformative products! And now I am stocking them for you right here at StoneGable! I just could not pass up the chance to have and be able to pass onto you these glorious products. And you know I only share the best here at StoneGable! So what does all this mean? It means you can order fabulous, beautiful products from me! I became a “MAKER”. In other words, I own my own business and am a part of A Maker’s Studio family. If you are thinking paint… you are right! But paint is only one part of designer products that are now available to you! I’ll be introducing all the fabulous products you can get through me right here on the blog. And I’ll be sharing great ways to use them to create a beautiful home! One of my favorites so far is this stunning gilded pillow we made at an online “Gilded Gathering”. Here’s the ad for it. 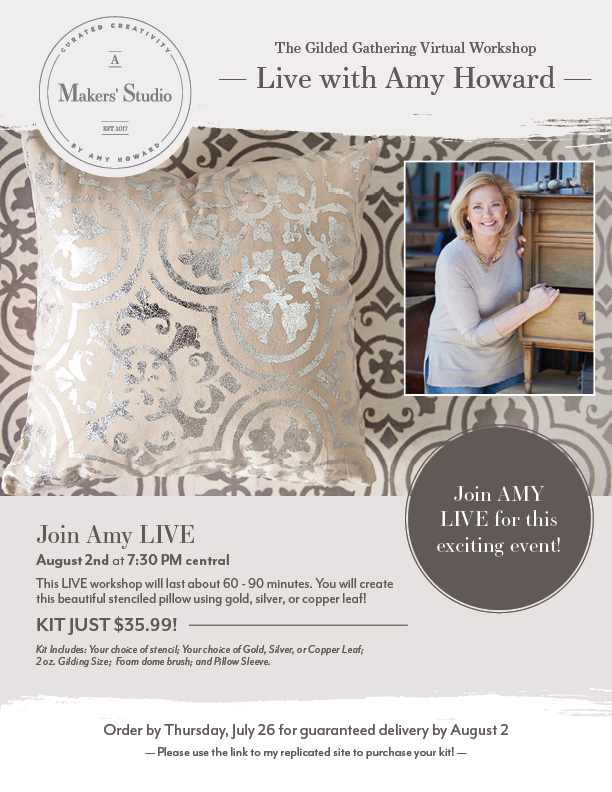 I made a beautiful gold pillow right along with Amy during a Facebook Live workshop and I’ll be sharing it soon! If you are interested in hosting a group of friends to learn how to make our gilded pillow please let me know! I can help you pull it all together! In September’s FACEBOOK LIVE workshop we will learn to make an Italian Art Plaster abstract painting. Wouldn’t you love to have an original work of art in your home? And we will be taught by a master artist. Amy was European trained and has over 3 decades of creating with paints and other artistic material. Grab a few girlfriends and get together and create! What a fun night! You can order your ART PLASTER kit from my shop HERE. Make sure to use my #813524. 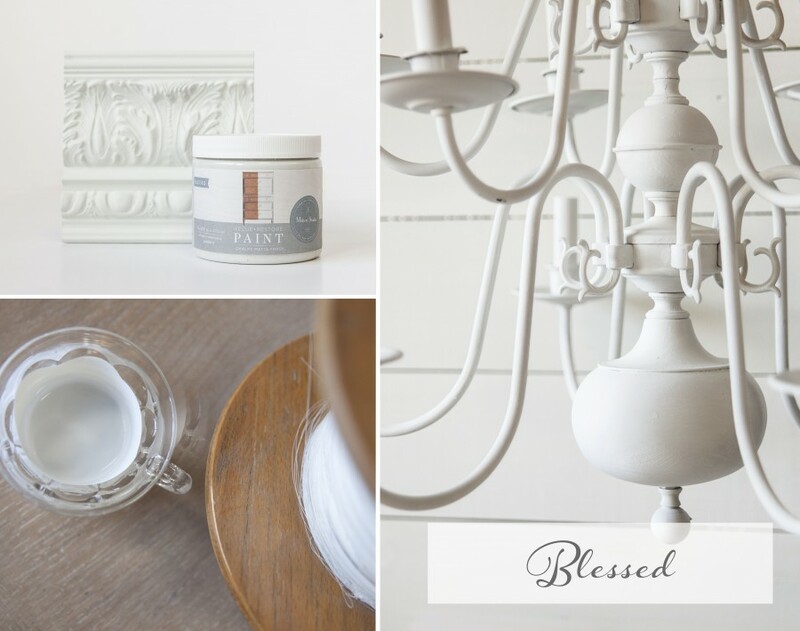 Look around and see all the beautiful things we are offering to help you create a home you love! One product I’m using a lot these days is the Rescue and Restore paint. 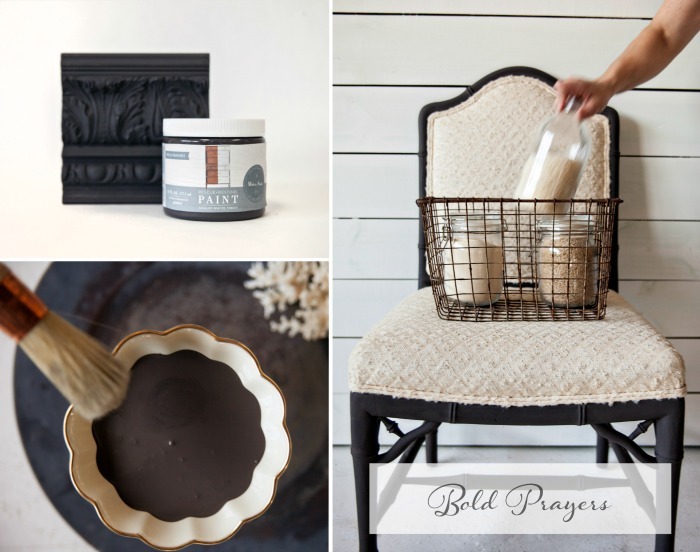 The Rescue and Restore chalk paints are the best! They really don’t fell chalky! And they have no VOC’s or harmful ingredients. Actually, they are infused with essential oils and have a mild vanilla scent! Don’t you love this color? 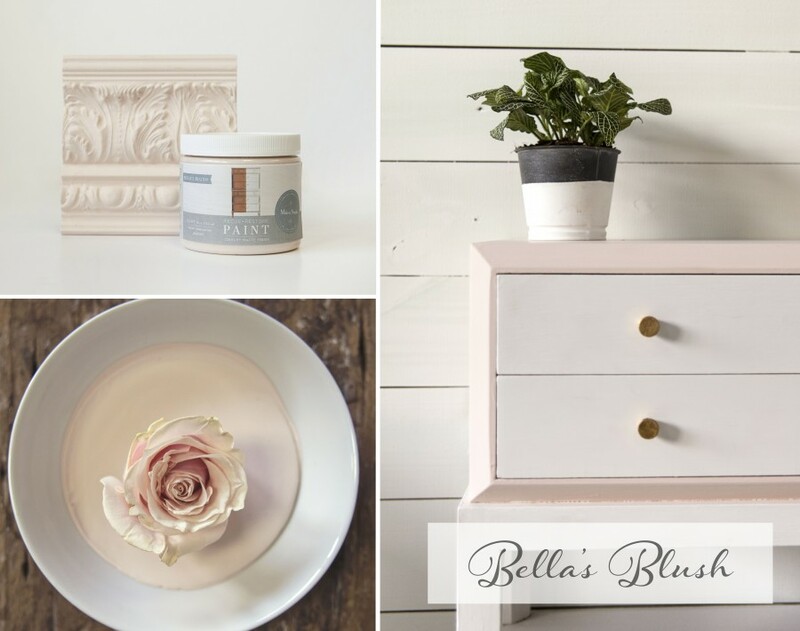 Bella’s Blush. I’ve got to paint a chair in this soft color! I just painted two tobacco baskets in Biscuit And Gravy. I’ll be sharing them soon! And I am in the process of painting and stenciling my daughter’s dresser and chest of drawers in her master bedroom with this fun stencil! I’m so excited to share transformations, ideas, products and how to’s with you! And if you would like more information about becoming a maker yourself I’d love to share this amazing business with you! I’m developing a team now! Leave me a comment letting me know you are “just looking” and I’ll email you right back. 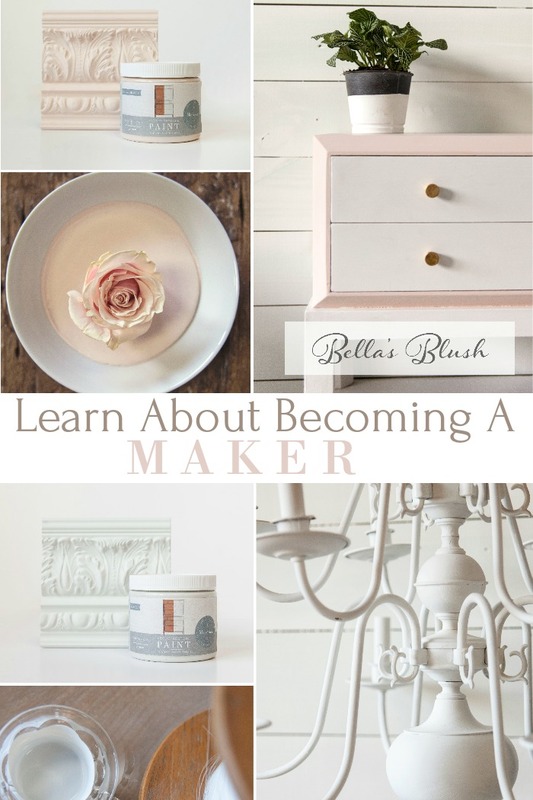 But here’s the most important thing to take away from this post… I hope to learn and share with you so you can create beauty in your home too! What is one thing in your home you would like to transform? Share it below!!!!! 5 MUST-KNOW TOPICS TO BE A FABULOUS DECORATOR! 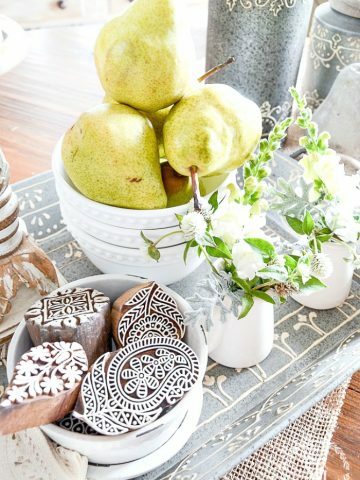 just looking … especially at the stenciled dresser! Looking forward to the class, Yvonne! I will not be available for the live – will have to catch the replay. For a few years, I’ve known that something has to be done with my dining room set. It’s an older Ethan Allen set, in great shape, and I love it. BUT, it’s totally matchy matchy and that makes me a little crazy. I’m slowly, very slowly, convincing myself that I need to paint the china cabinet to move it into this century. 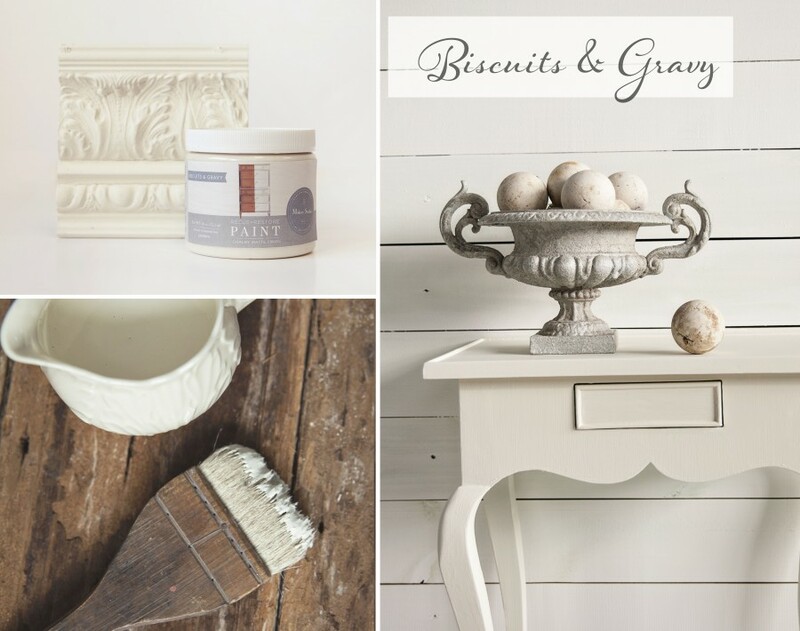 I’ll be watching to see furniture that’s painted with that chalk paint. It may be just the push I need to finally do what I know needs to be done! See my post tomorrow. I had an Ethan Allen dining room too and painted the chairs. I loved them. Just looking. I have redone about 3 pieces using Amy Howard’s chalk paint. Love it. Your work is beautiful. Just looking. Love home projects but have not had time to do many in years. This type of paint is new to me but sounds perfect for some of my ideas. I would like to make a large, cheap, light-weight flower pot look more attractive for the indoor tree that is very happy living in it! A new pot is not only expensive but heavy! 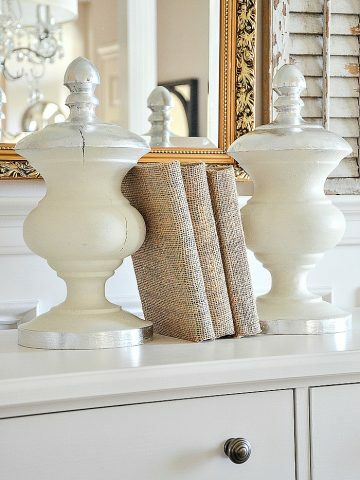 It just needs a color change to quietly blend with new room decor….such as a soft grey or white stone look. The pot is plastic. Thoughts? Rescue and Restore paint would be perfect for this project. And we carry so many grays and soft whites! Hey! I am just looking! I have a buffet perfect for French kitchen that I want to paint like the one in your beautiful dining room. Looks like a lovely creamy white. Thanks! I’m SO excited!!! 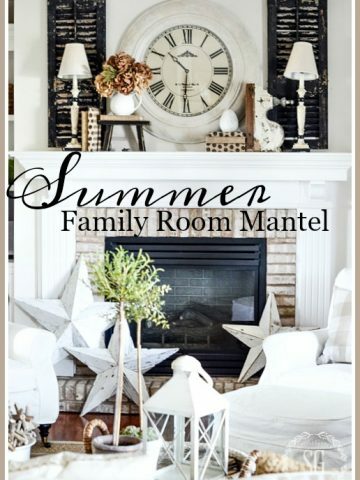 I love decorating and I’m trying to decide about painting my red brick fire place at this time. 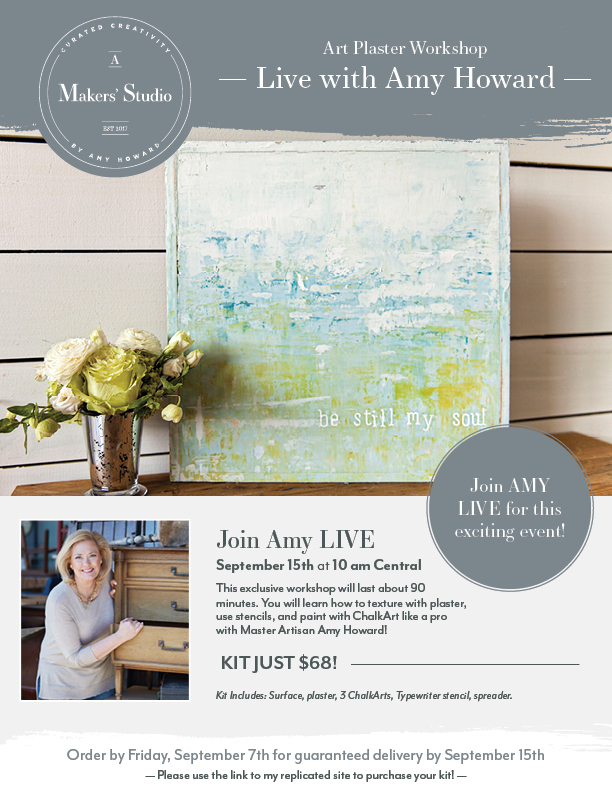 You and Amy Howard…it can’t get much better than that! Go to amakersstudio.com/stonegable and look for “shop” at the top of the page. Hover over “shop” and a drop down box will appear and you can find all kinds of great products there. I am a rescuer!! My husband told me there was a chest of drawers on the roadside up the road so I was there in a jiffy! It was a simple piece of furniture in lovely wood but had been mistreated with stickers all over it, drawer handles missing. The kind man came out of the house and loaded it into my car. I sanded back the drawers and put beeswax on them and have painted the rest and put crystal drawer pulls on it. Very smart and much loved now. Beautiful post, Yvonne! Glad to be part of your team! Right back at you Julie! 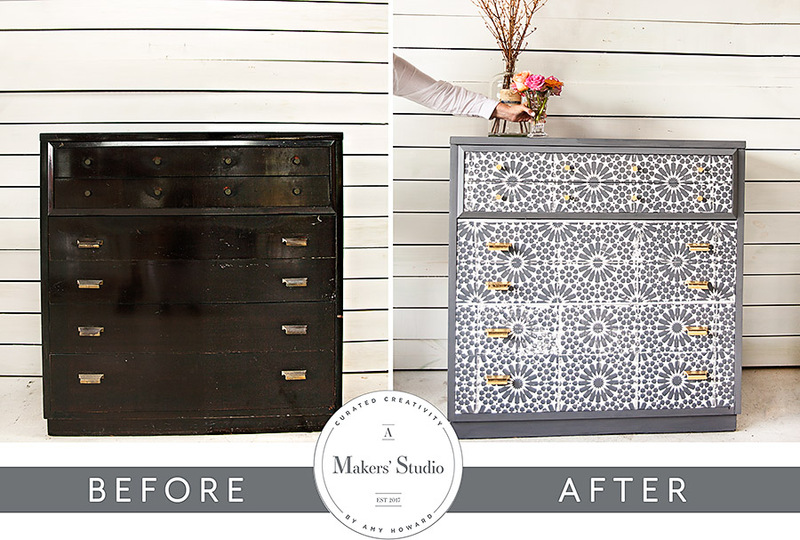 Love the dresser before and after photos. I recently redid my desk myself and love it so much more now. It is a different formula. Very silky smooth! You will love it! I’m a maker. Started due to lack of money, but now it’s just become part of my nature. I tell my grown kids folks were “recycling” decades ago! Yes, I have an old chandy in the basement I’m going to paint and put it outside under my table. I am definitely a maker. If I had a million dollar budget, I would still rescue items from the trash. Earlier this summer I painted a shelf and a cabinet that have been in my home for probably 20 years using Amy Howard paint and wax. They were great pieces, but just needed updating to work with my current decor. I couldn’t be happier with the results. I watched a couple of U tube videos with Amy Howard demonstrating, which were very helpful. Next project will be my 80’s oak China cabinet! I have four wicker chairs outside that are in need of restoration. 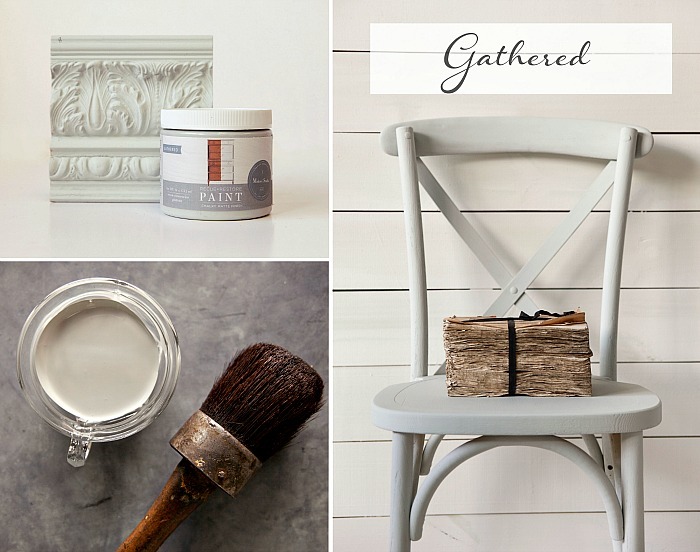 Will chalk paint hold up to rain? Paint them and use a sealer and they will be good. But I would not leave them out in the elements. No wicker can hold up to rain. So inspired! I ‘ll be honest. NEVER picked up a brush. I can think of lots of antiques i have, but think i should start with my 1990s Cost Plus kitchen table and chairs-ick orangey oak. I KNOW you know the style. Was thinking a colored top with white legs. Not sure about chairs. Is there a tutorial somewhere. Seriously, i know NOTHING,but you and the. DTT ladies have inspired me. Thrilled to inspire you Amy! I love the idea of a white top and colored legs! Give it a try and send me the pictures! I will be a customer, for sure! I am very interested in doing the art plaster workshop. Does it have to be done “live” at 10 on 9/15 or will it be recorded. This would be a fun girl’s night project. I could not find other details-like how long, additional supplies needed, etc. Could you please give me more info or provide a link to more info. Michelle, the best thing I can tell you is to contact the store you bought it in. They should want you to be satisfied. Michelle, all the things you need to make the Plaster Art are in the box you would purchase. Just make sure to cover a table or work surface with something to protect it. If you purchase the Plaster Art you will get a link to the Facebook Live so you can see it again. I have been mulling over painting my bar stools AND my China cabinet! My husband probably would think I am crazy to paint over stained wood (he wouldn’t care about the stools, but cabinet lol). I just want to modernize it, but I am intimidated because I haven’t done a ton of painting and it’s huge! Start with the stools Tammy! And go from there, my friend! Yuvonne, love the idea of your maker shop. I love painting furniture but need some tips to help my pieces look beautiful. I can’t wait to see what I can make of my small hutch I will be redoing..
What is the difference between one step and rescue and restore?? I have never done this and as a beginner I want to know what I should start with. Rescue and Restore is a much smoother formula and infused with essential oils. It is a premium product.